* This post is sponsored by Omaha Steaks, and we’re grateful to be Brand Ambassadors for America’s Original Butcher. When you travel as much as our family, sometimes the schedules don’t work out in traditional ways. This year we will find ourselves in Puerto Vallarta on Thanksgiving Day, probably eating turkey tacos on the beach somewhere. Thanks to our friends at Omaha Steaks, we’re able to enjoy our turkey now rather than pining for it on the actual day. For our family, the holiday comes early this year because we can order Thanksgiving dinner from Omaha Steaks. 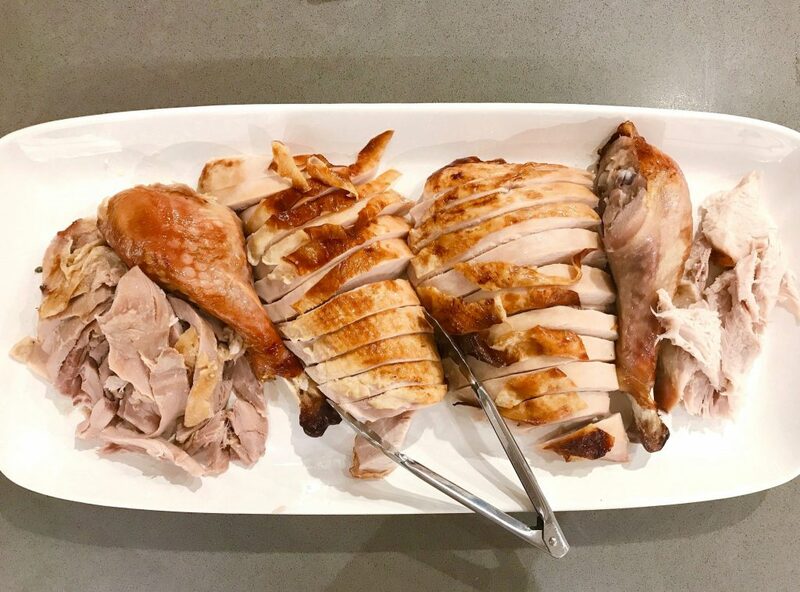 Sliced so beautifully, this Thanksgiving turkey from Omaha Steaks tasted just as delicious as it looks. The kids gave me the weirdest look when I said I was making turkey and all the fixings for dinner. “What are you doing making Thanksgiving dinner now?” they asked. Well, this dinner and tradition are important to us. It’s important to give thanks and be grateful – any time of year. And this holiday is a reminder of that. 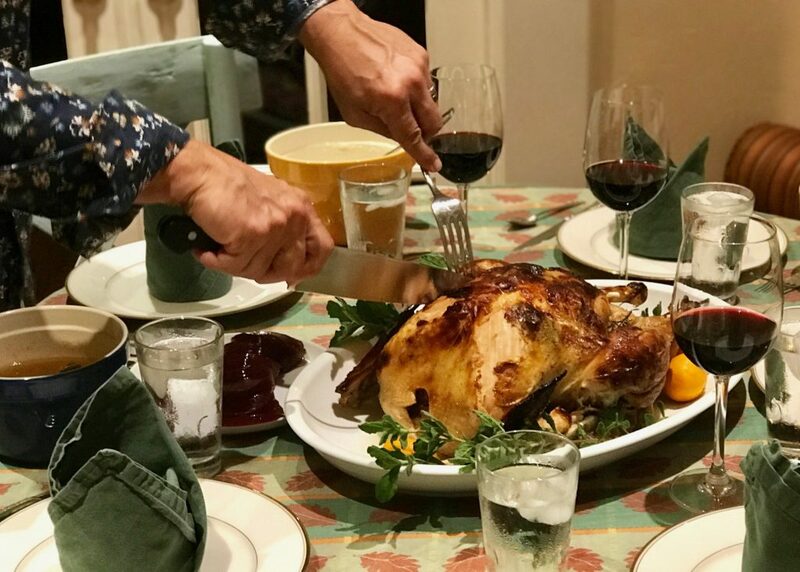 Especially now with so many complications across the globe, Thanksgiving has taken on even greater meaning. So I cooked a turkey! Our friends at Omaha Steaks made this meal super easy for us. They made the whole thing hassle-free with their “build your own” Thanksgiving Dinner options, and I love them for this! Whether you are Team Ham or Team Turkey, they’ve got your covered. Heck they even have beef roasts if you’d like something less traditional. Our Thanksgiving turkey from Omaha Steaks turned out perfectly cooked and ready to carve. However, my favorite thing is the full meal options. Saving a tremendous amount of work in the kitchen, Thanksgiving dinner from Omaha Steaks can provide you with the entire meal. Not only did we get a 10-pound turkey that was oven ready, but the sides as well. From the many choices, I went for the traditional sage stuffing and smashed red potatoes on the side. And yes you can get a ham if you prefer that, or even a big beef roast. But turkey is the traditional feast, and we went for it. 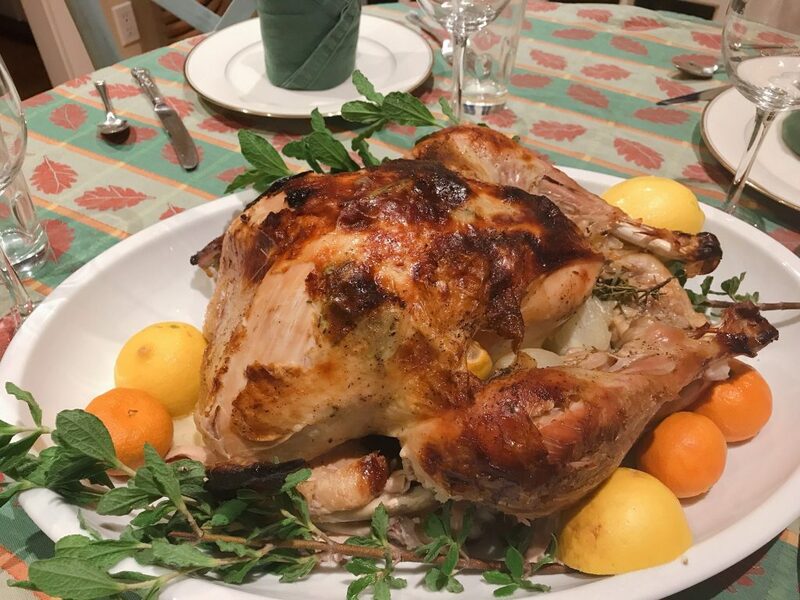 After carving this bird, the Thanksgiving vultures descended for a feast. (And by vultures I mean our family). I modified our order slightly. Instead of pumpkin pie (which my kids don’t love) we opted for Sticky Toffee Pudding. I must say this might very well become another family tradition, since the kids went crazy for it! 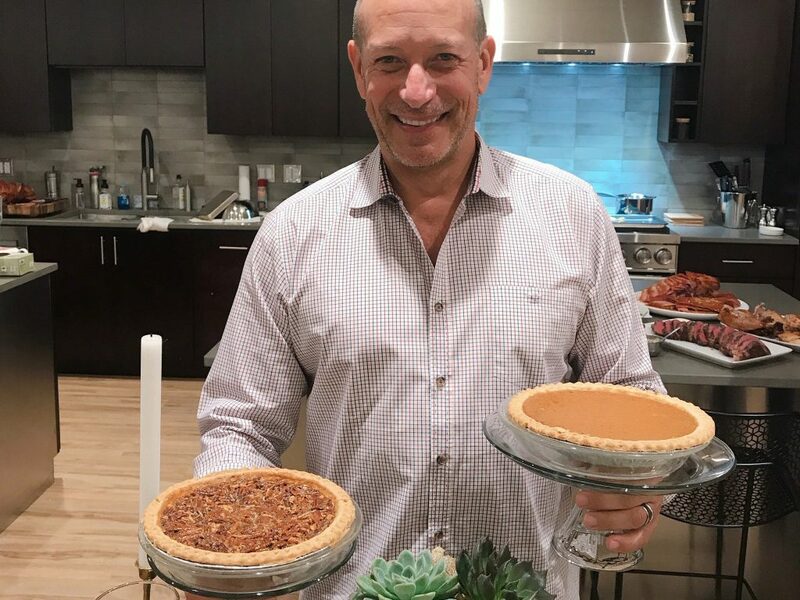 Omaha Steaks even supplies the Thanksgiving pies! (Although I love their Sticky Toffee Pudding even more). One of the very best things about this whole arrangement getting Thanksgiving dinner from Omaha Steaks? Not having the fight the supermarket rush. Last year as the day approached, the stores got crazier and people got wackier. I literally watched a fist fight practically break out over a parking spot at our local supermarket – and that was between two moms! 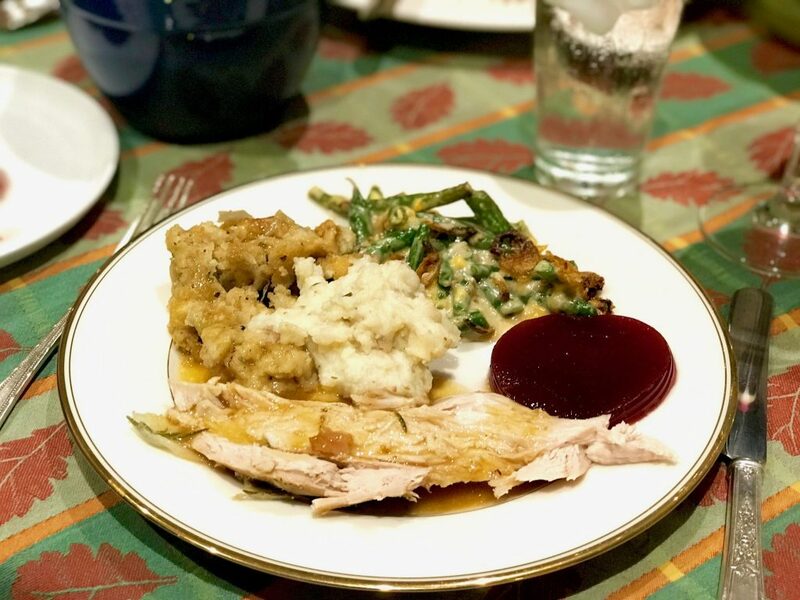 From the comfort of my living room couch (and take my word, it’s very comfortable) I am able to order Thanksgiving dinner from Omaha Steaks from their website with ease. The entire process can take as little as 5 minutes. Thanksgiving turkey dinner and all the goodies. Why does cranberry sauce look so weird and taste so great? Last year, it took me hours to shop, collect all the ingredients and make all the food. This year, I popped the turkey into the oven to cook. The rest of the side dishes were put in the oven about a half hour before the meal, and we were ready to roll. I like a flavorful turkey, and the Thanksgiving turkey from Omaha Steaks comes prepped and ready for me to stuff and spice as desired. I stuffed ours with fresh rosemary, sliced lemons, garlic and onions. And butter of course – lots of butter inside and under the skin. Omaha Steaks even sent an oven bag and instructions on how to cook our Thanksgiving turkey. From there, I placed the prepped turkey inside the cooking bag supplied by Omaha Steaks in my order. 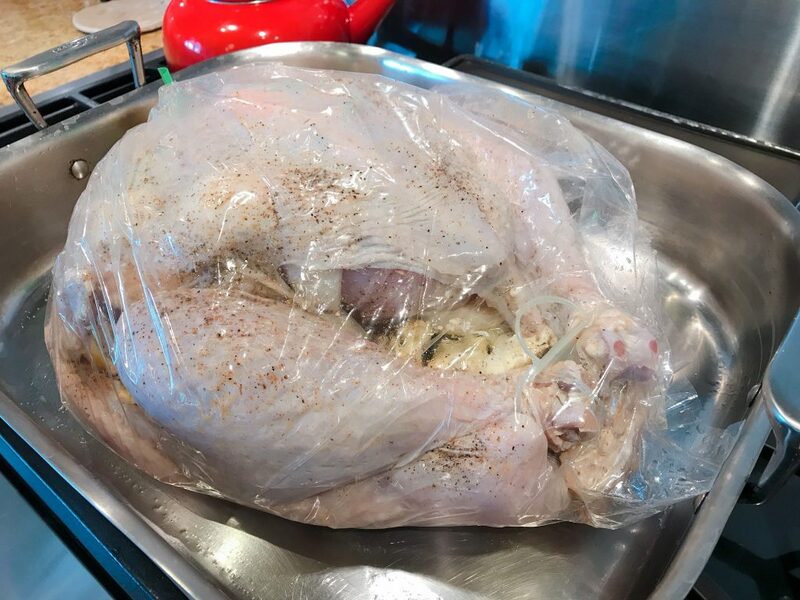 I’ve cooked turkeys in the bag on various occasions to differing degrees of success. This time, it came out perfectly cooked, tender and juicy on the inside and crispy on the outside. Delish. Plus there was enough leftovers for sandwiches! Now, answer me this. Why oh why does all this hard work go into creating a delicious Thanksgiving meal, only to serve it all with canned cranberry sauce? It defies logic, but honestly our family prefers the cranberry sauce this way. Sliced, mashed or straight from the can, it still makes the perfect accompaniment to this Thanksgiving dinner from Omaha Steaks. 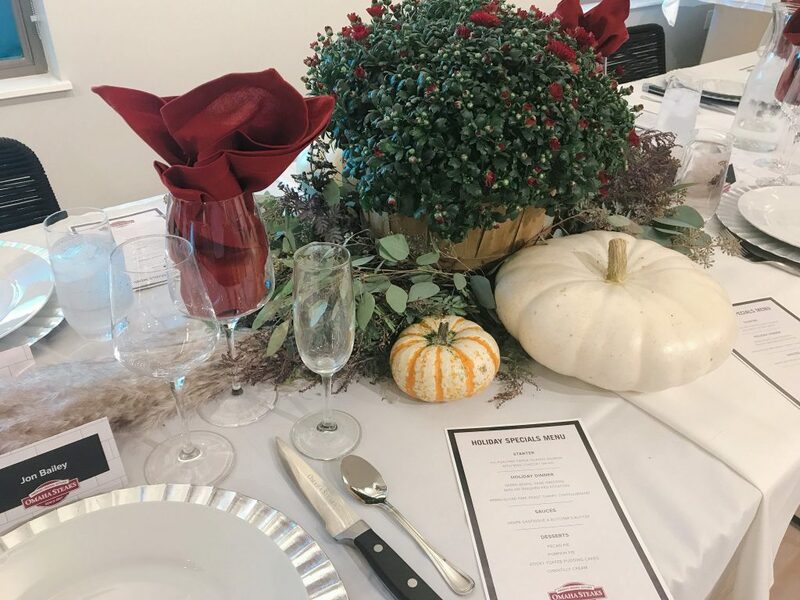 When visiting Omaha Steaks, they shared ideas about how to set a beautiful Thanksgiving table.